There is an old belief that a cat uses its whiskers to determine whether it can squeeze through a small hole or opening. According to this notion, the whiskers are exactly the same width as the animal’s body and if they touch the sides of the hole the cat will not attempt to enter. 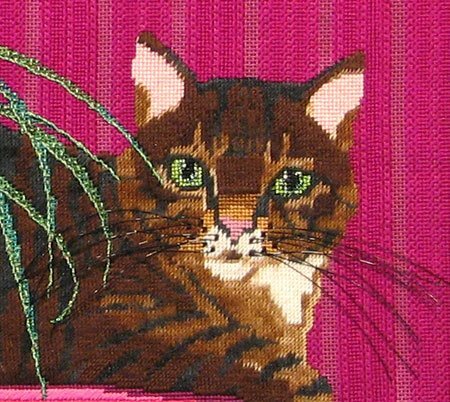 Jasper, my best friend for years had really big whiskers so when I set out to stitch his portrait I knew I wanted to do something special with the whiskers. Thanks to the magic of the internet, I was able to track down cat whiskers for making stuffed animals. They come in two large clumps. I cut them apart and used them individually to add a little character to my guy. Stick one end through the canvas, front to back, and then carefully tack in place near his muzzle on the front. Once you have them in place as you want them on the front, flip it over and tack them securely to the back. Pretty cool. That was Jasper. Solid as steel with really cool whiskers. Ruthie, that is SO cool! When I do a canvas which will remind me of Cara & Mia (and you know I will), I will definitely need to get those whiskers! Wonderful! 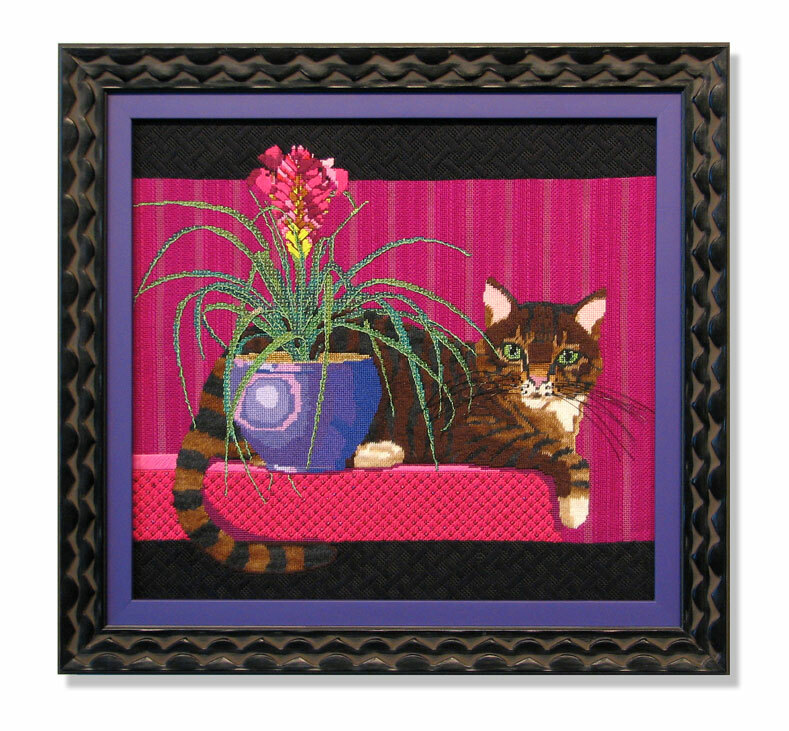 This canvas is full of personality. You did a terrific job on him. Please tell me where to get the whiskers. I’m having a difficult time.